What makes the E30 M3 unique? The E30 M3 is the BMW Motorsport-developed version of the E30 3 Series. Its S14 four-cylinder powerplant is a further development of the M10 unit and was chosen because of its compact dimensions. The chassis is based on the basic E30 3 Series design but has been thoroughly reworked by BMW Motorsport in every significant area. The reshaped body shares few panels with other E30 3 Series models. Where was the E30 M3 first introduced? The E30 M3 debuted at the 1985 Frankfurt motor show. 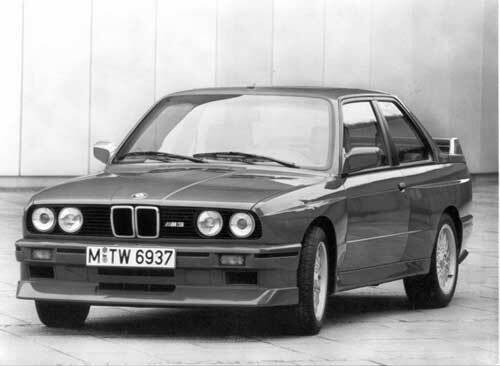 Where was the E30 M3 produced? 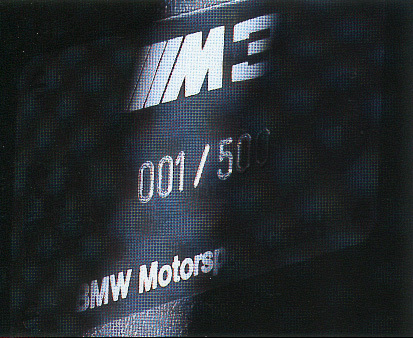 Because of the relatively high production numbers required to homologate the M3, production took place at the normal Munich-Milbertshofe factory instead of in the more limited Motorsport facility in Garching. However, unlike the normal E30 models, the M3's drivetrain was assembled by special teams, then mated to the chassis on the regular assembly line. Why is the E30 M3 considered a homologation model? The main impetus for the E30 M3’s existence was Group A racing, a production-based class that demanded that each race car share its core mechanical components with a road car, of which at least 5,000 examples had to be produced. Thus, BMW Motorsport designed the race car first, then applied the necessary changes to the road car in order to homologate the competition machine. 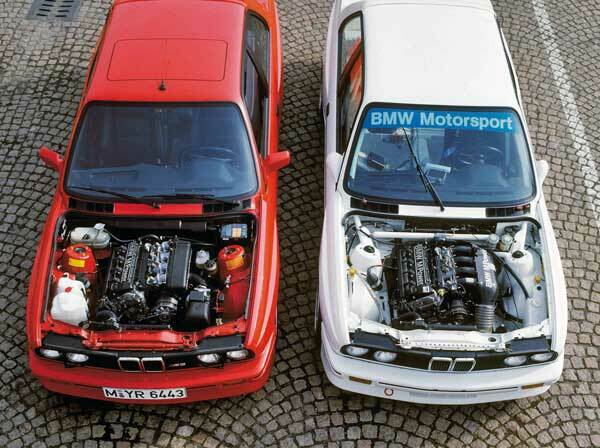 The E30 M3 street version and E30 M3 competition version are therefore quite similar. For example, the widened fenders were needed to accommodate racing rubber on the competition cars but were not necessary for the more modest tires of the street version. However, fender width had to be identical between the road and race versions, so both share the same flared arches. How many versions of the E30 M3 were developed? BMW Motorsport developed seven versions of the E30 M3 coupe, each with slight mechanical variations and all in left-hand drive. Four were regular production models: European-spec without catalyst, European-spec with catalyst in 195 hp (early) and 215 hp (later) forms, and North American-spec. The remaining three were limited editions known as the Evolution I, Evolution II and Sport Evolution. These were built to homologate updates to the engine and aerodynamics for racing purposes. There were also four further special editions with mainly cosmetic variations: Tour de Corse, Europa Meister 88, Johnny Cecotto and Roberto Ravaglia. In addition to the coupe, an E30 M3 convertible (see specific FAQ) was assembled by hand in limited numbers. Do all examples of the E30 M3 utilize the "WBS" VIN prefix? The E30 M3 was generally given a "WBS" VIN prefix (i.e. the first three letters in the VIN) to identify it as a product of BMW Motorsport GmbH. However, it is believed that the initial 164 ECE non-catalyst examples of the E30 M3 were given the regular WBA (non-M) prefix. 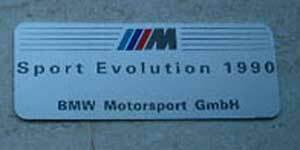 The WBA prefix also appears in the VIN of the first 208 examples of the E30 M3 Sport Evolution. What changed during the production of the European-spec E30 M3? In addition to the development of several special edition models, there were many major and minor improvements made to the standard European-spec E30 M3 during the five and a half years it was produced. The most noteworthy of these occurred when both the 200-hp (non-catalyst) and 195-hp (catalyst) engines were replaced by the more powerful, catalyst-equipped 215-hp engine in September of 1989. Other changes include a switch to ellipsoid headlights with integrated "city" lights (from 9/87 production) and aluminum front control arms (6/89 production), the availability of Boge Electronic Damping Control and a myriad of minor color, trim and option variations. What changed during the production of the North American-spec M3? The E30 M3 was introduced in North America as a 1988 model, though production began in March of 1987. Cars produced before September of 1987 were actually built to 1987 specification (despite being officially considered "1988" models). Therefore, the following changes were introduced in September of 1987, i.e. the actual start of the 1988 model year: Ellispoid headlights were introduced, Henna Red (052) was replaced by Cinnabar Red (138), Pearl Beige leather (0206) was replaced by Natur leather (0295), and Silver leather (0292) was offered for the first time. For the following 1989 model year (which began with 7/88 production), an upgraded radio with CD-changer capability was introduced and the Cardinal Red interior was discontinued. The next major round of changes were introduced with the 1990 model year (starting from 6/89 production). At this time, the ellipsoid headlights were once again replaced by halogen units, the rear quarter windows were fixed, the control arm bushings were modified, aluminum control arms replaced the steel versions and the air intake box was enlarged (as fitted to the Euro-spec Evolution II). In addition, the option list was expanded to inlcude a power glass moonroof and heated front seats (already standard in Canada). Further changes were implemented in September of 1989, when a driver-side airbag with knee bolster became standard on U.S.-spec cars and optional in Canada, plus Cinnabar Red (138) and Salmon Silver metallic (203) were replaced by Brilliant Red (308) and Sterling Silver metallic (244). The final 1991 models entered production in June of 1990 with no changes. Why are North American-spec E30 M3s produced before 9/87 still considered 1988 models? BMW has never officially explained why it launched the E30 M3 in North America as a 1988 model, even though production began in early 1987. 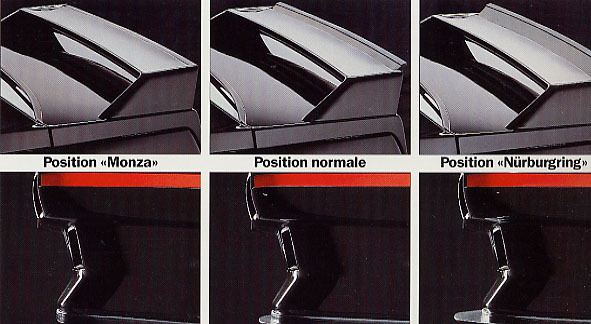 It is possible that the "1988" designation was necessary for BMW to be compliant with CAFE standards required by the EPA, or perhaps BMW simply did not want to bother with a shortened 1987 model year. Whatever the reason, it is interesting to note that 98 of the earliest North American-spec E30 M3s were produced with an "H" (as opposed to a "J") in the 10th position of their VIN, which technically denotes them as 1987 models. However, this was likely changed to a "J" prior to delivery, since BMW would not have otherwise been legally been able to sell the cars as 1988 models. How many of the 5,300 North American-spec (AK03) E30 M3s were built to Canadian specification? Of the 5,300 examples of the E30 M3 produced to North American specification, just 185 were produced for Canada and the remaining 5,115 were sold in the United States. How many E30 M3s were produced for Japan? There are two types of E30 M3s produced for Japan, all with the catalyst-equipped 195-hp motor (Model Code AK05), and all equipped with central locking, power windows, air conditioning, on-board computer and velour floor mats. The earlier type (1987 model year) retains the "dogleg" gearbox of the European-spec M3 and was built in two batches, 100 cars during late November and early December of 1986, then an additional 72 cars between January and June of 1987. All of these early examples are also equipped with a power sunroof. The later type (1988 and 1989 models) have the overdrive 5-speed gearbox shared with the North American-spec M3 (Model Type AK03) and can be identified by their "Japan version" option code. A total of 395 examples of this type were produced between September of 1987 and March of 1989, including a small number without a sunroof. What makes the S14 engine unique? 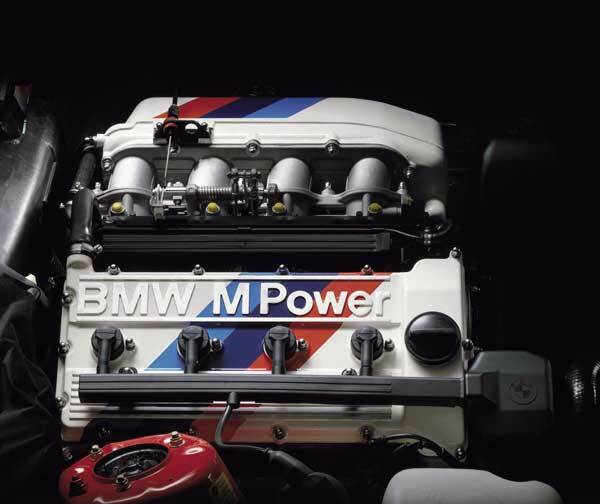 The E30 M3’s S14 engine was designed for racing applications and is therefore compact and high-revving. It combines the basic four-cylinder block from the M10 family with a four-valve head derived from the one used on the six-cylinder M88 and S38 motors. Special features of this engine include individual throttle plates for each cylinder, machined intake and exhaust ports, and a crankshaft with eight counterweights. Like the M88 and S38, the S14 does not have hydraulic lifters, and thus requires periodic valve adjustments. How many versions of the S14 engine are there and how are they different? 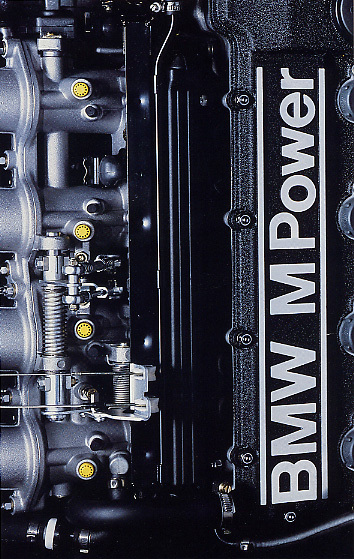 BMW Motorpsort built five road-going versions of the S14 powerplant. The “standard” S14 engine has a bore of 93.4mm and a stroke of 84mm for a total capacity of 2,302cc. Without pollution controls, it is rated at 200 hp (DIN) at 6,750rpm and 176 lb/ft of torque at 4,750 rpm. A version of this engine equipped with twin in-line catalytic converters produces 195 hp (DIN) or 192 hp (SAE) and 170 lb/ft of torque at the same engine speeds. This was the only variation of the S14 sold in North America. A second catalyst-equipped version of the S14 was introduced on the E30 M3 Cecotto/Ravaglia special editions in April, 1989. This engine produces 215 hp (DIN) at 6,750 rpm and 170 lb/ft of torque at 4,600 rpm. The increased power is largely due to a reprogramming of the Bosch Digital Motor Electronics (DME). This engine also became the standard European-spec E30 M3 engine as of September, 1989 production. The most powerful evolution of the 2.3-liter S14 was introduced in the M3 Evolution II starting in March, 1988. Changes included new pistons that raised the compression to 11:1 (from 10.5:1), a more effecient air intake, lightened flywheel and reprogrammed engine management. This non-catalyst powerplant is rated at 220 hp (DIN) at 6,750 rpm and 181 lb/ft of torque at 4,750 rpm. These engines have white cam covers with the tri-color Motorpsort logo painted on them. The final version of the S14 features increased cylinder bore (to 95mm) and a long-stroke crank for a new total displacement of 2,467cc. 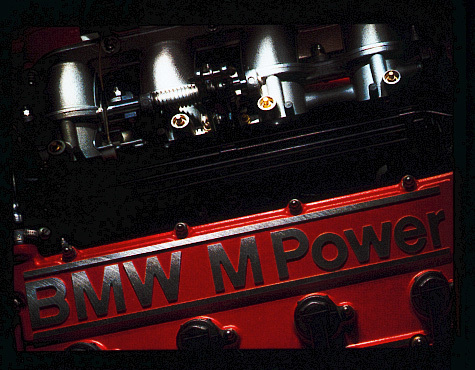 This engine was used exclusively in the 1990 E30 M3 Sport Evoltuion, built from 12/89 to 03/90. In addition to the increased displacement, the valves were enlarged and a more aggressive cam was fitted. Special nozzles sprayed oil under the pistons to keep them cool. All Sport Evolution motors were equipped with catalysts. Power increased to 238 hp (DIN) at 7,000 rpm, though peak torque decreased slightly (over the Evolution II) to 177 lb/ft at 4,750 rpm. These engines use the regular black cam cover but have red spark plug wires. What kind of gearbox does the E30 M3 have? E30 M3s equipped with the overdrive gearbox have a shorter 4.10:1 final drive (versus 3.25:1) to help offset the taller ratios. Both gearboxes are mated to limited slip rear differentials with a maximum locking of 25 percent. What distinguishes a Euro-spec E30 M3 mechanically from a North American version? Except for a different air intake arrangement, the North American-spec E30 M3 carries essentially the same powerplant as the early catalyst-equipped European-spec model. It is rated at 192 hp (SAE) at 6,750 rpm, which translates to a European rating of about 195 hp (DIN). Torque is an identical 170 lb/ft at 4,750 rpm. The only significant powertrain difference concerns the gearbox, which is a Getrag 260 with a standard shift pattern, as opposed to the European-spec model’s close-ratio Getrag box with its dogleg first gear location. The use of the conventional shift gate was determined to be more easily acceptable to Americans, and the wider ratios (shared with the E30 325i) are offset by a shorter 4.10:1 final drive. How is the M3's suspension different from that of a standard E30 3 Series? Starting sometime in 1988, Euro-spec E30 M3s were available with Electronic Damper Control by Boge. 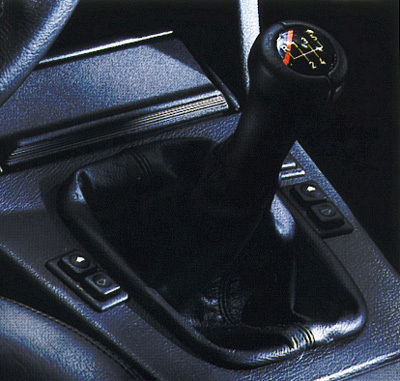 This offered three shock stiffness settings, Komfort (K), Normal (N) and Sport (S) in order of increasing firmness, adjusted via a control knob in the center console. How is the steering of the E30 M3 different from that of a standard 3 Series? The E30 M3 has a power-assisted rack-and-pinion steering system with an overall ratio of 19.6:1, which is slightly quicker than the normal E30 ratio of 20.5:1. What size brakes does the E30 M3 have? 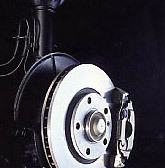 All E30 M3s have vented front disc brakes measuring 11.1-inches (280mm) and solid rear discs measuring 11.1-inches (282mm). ABS is standard. What are the factory wheel and tire sizes for the E30 M3? There were two wheel and tire combinations available for the E30 M3. 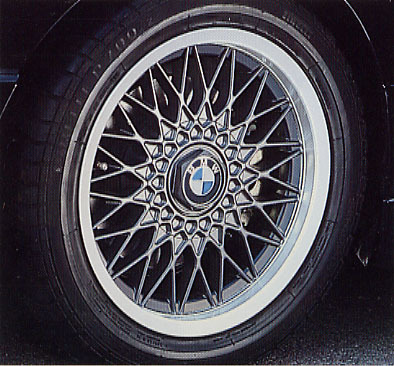 A 7x15-inch cross-spoke alloy wheel with 205/55VR15 tires was the standard wheel on European-spec models and was also fitted to all North American-spec examples. However, the Evolution II, Sport Evolution and Cecotto/Ravaglia special editions were equipped with 225/45ZR16 tires on 7.5x16-inch alloys of the same cross-spoke design. This larger wheel and tire package could also be ordered as a factory option on regular Euro-spec M3s. How is the M3’s exterior different from that of a normal E30 3 Series? Because the E30 M3's shape had to be homologated for racing, all exterior body panels except the hood are unique to this model. The fenders are flared. The front and rear fascias contain unique 2.5-mph bumpers. The rear window is re-angled and the glass, both front and rear, is bonded. The trunk lid sits over 1.5-inches higher than the normal E30 3 Series, has a wing-type rear spoiler and is met by an extended cap over the C-pillar, all of which lower the Cd to 0.33 from 0.38. There is a roof-mounted radio antenna at the front. All window trim is of the blacked-out "Shadowline" variety. “M3” badges appear on the grille and decklid. How does the exterior of the North American-spec E30 M3 differ from that of the Euro-spec model? Cosmetically, the North American E30 M3 is nearly identical to the European-spec model. However, it can be easily identified by the black intake grilles near each front fog light in place of the European-spec model's body-color tow hook covers.There are also bumper-mounted side marker lights, slightly different headlight configurations and a high-mounted third brake light, all required by Federal law. How is the interior of the E30 M3 different from that of a normal E30 3 Series? The E30 M3 interior shares its basic architecture with the standard E30 3 Series. However, all M3s are equipped with manual sport seats in cloth, leather or a combination of the two. The rear seat is individually contoured for two passengers. A black headliner and a unique instrument cluster with red needles, an M logo and an oil temperature gauge under the tachometer in place of the economy-meter are also included. 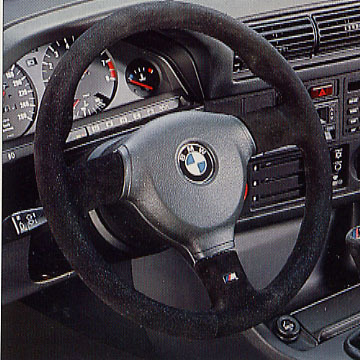 Cars without a driver-side airbag have a leather-wrapped M three-spoke steering wheel in one of two designs: The M-Technic I with a slimmer hub and the M tri-color stripe on the center spoke was used on M3s built before September, 1989. 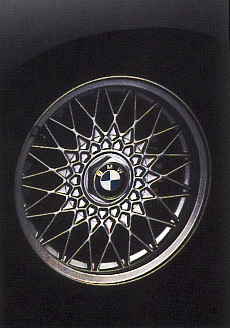 After this date, the M-Technic II steering wheel with a thicker rim and the M logo on the central spoke was used. 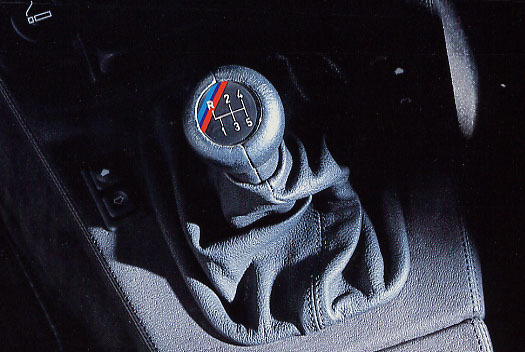 The shift knob is also leather and includes an M stripe with the "dogleg" shift pattern (euro-spec) or the standard "H" configuration (North American models). It is always of the earlier, non-ergonomic design and comes attached to an integrated leather boot. The parking brake handle boot is also leather and is unique to the M3. All M3s were equipped with the check control vehicle monitoring system above the interior rearview mirror. How does the interior of the North American-spec E30 M3 differ from that of the Euro-spec version? 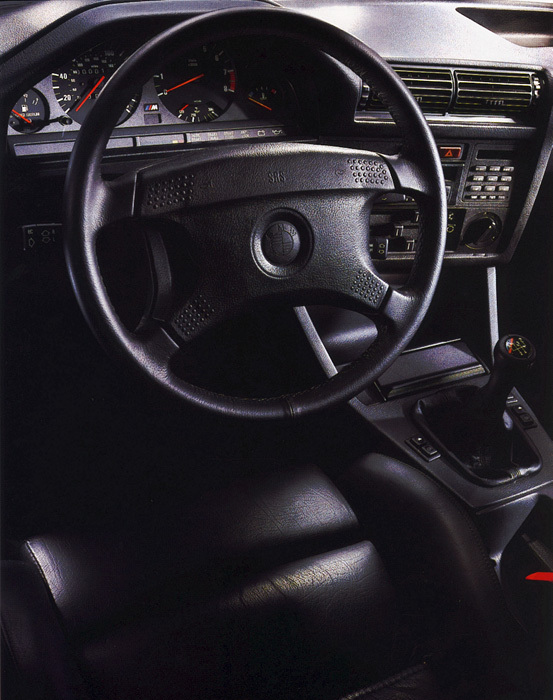 Except for unique instrumentation and a generally higher level of equipment, the interior of the North American-spec E30 M3 is essentially identical to the Euro-spec model. Standard equipment on all North American-spec M3s included Bison leather sport seats, cruise control, air conditioning, power windows and sunroof, on-board computer II and an eight-speaker am/fm stereo cassette sound system. U.S.-spec models built for the 1990 and 1991 model years (9/89 thru 12/90 production) have a driver-side airbag with knee bolster. How does the interior of the Canadian-spec M3 differ from that of the U.S. version? Aside from small items like metric instrumentation, Canadian E30 M3s are essentially identical to the U.S. versions, with a few minor exceptions: Heated seats were standard on all model years (these did not appear until the 1990 model year on U.S.-spec cars, and then only as an option) and a driver-side airbag was optional in Canada on 1990 and 1991 models (as opposed to standard). Finally, Canadian-market E30 M3s were offered exclusively with a black leather interior. What features were optional on the E30 M3? 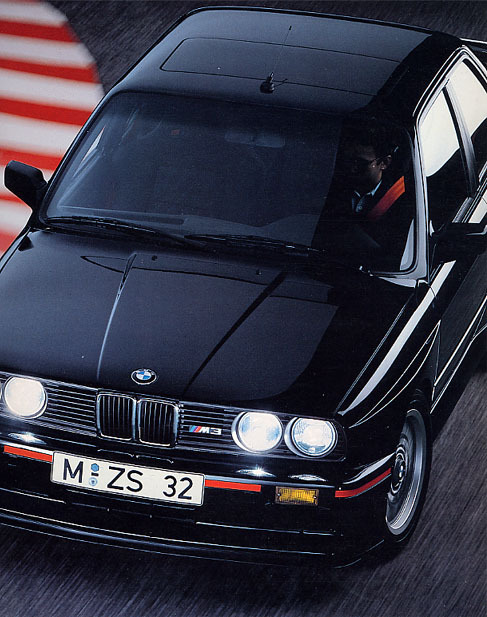 The European-spec versions of the E30 M3 were far less lavishly equipped than the North American-spec version. Optional equipment, depending on the market and production date, included: metallic paint, headlight washer/wipers, leather upholstery, heated seats, power windows, power sunroof, rear headrests, on-board computer II, air conditioning, Electronic Damper Control (EDC) and various audio systems. 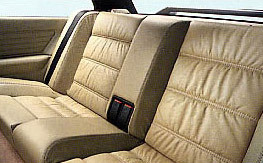 North American-spec cars were fitted with most of the above items as standard, and thus options were limited to metallic paint, heated seats (from 9/89 production on U.S. models, always standard in Canada) and a glass moonroof (1990-91 models only). A CD changer could be added as a factory option starting with 9/88 production. Were there any special editions of the E30 M3? There were seven special editions of the E30 M3. Three were homologation specials known as the Evoultion I, Evolution II and Sport Evolution. The remaining four were based more closely on regular production models, but had special cosmetic features. These editions were called the Tour de Corse, Europa Meister 88, Johnny Cecotto and Roberto Ravaglia. What distinguishes an E30 M3 Evolution I? The initial E30 M3 Evolution was created to homologate refinements to the E30 M3 designed to make it more competitive in its competition guise. The main mechanical alteration was a revised cylinder head, distinguishable by an "E" cast into it, though peak power remained unchanged from the standard non-catalyst M3 at 200 hp (DIN). The model is otherwise identical to a standard European-spec E30 M3 and lacks a numbered dash plaque or any other identifying feature to denote this special series. A total of 505 examples were produced with consecutive ViNs (2190283 through 2190787) during March and April of 1987. What distinguishes an E30 M3 Evolution II? The E30 M3 Evolution was followed by the E30 M3 Evolution II, 501 of which were built in the Spring of 1988. (NOTE: This model is officially known simply as the "M3 Evolution", since BMW M considers the 505 examples of the first M3 Evolution produced in 1987 as a slight variation on the regular M3 and not a separate edition in its own right.) 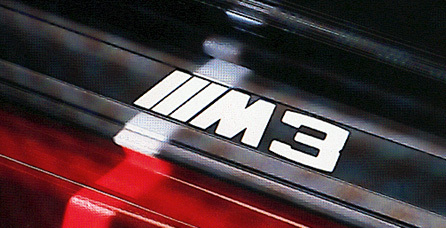 Unlike the first Evolution, the E30 M3 Evolution II received significant mechanical upgrades to its S14 motor (identifiable by unique valve covers in white with tri-color Motorsport stripes). New pistons raised the compression to 11:1 (from 10.5:1), the air intake was improved, the flywheel lightened and the engine management revised. Power increased to 220 hp and 181 lb/ft of torque, both at the same rpm as the standard non-catalyst S14 motor. The close-ratio Getrag 5-speed manual gearbox carried over unchanged, though the final drive was reduced slightly from 3.25:1 to 3.15:1. Larger 7.5x16-inch alloy wheels with 225/45ZR16 tires, normally an extra-cost option on the standard M3, were fitted as standard to the Evolution II. However, there were no alterations to the suspension or brakes. The exterior of the Evolution II can be easily identified by its deeper front airdam, additional rear lip spoiler on the trunk lid and front brake cooling ducts in place of foglights . 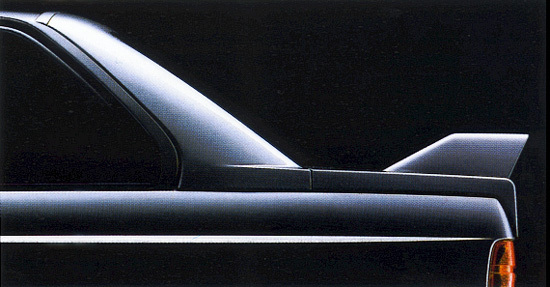 In addition, thinner window glass, plus a lightened trunk lid and bumpers, reduced weight by 22 pounds. The E30 M3 Evolution II was offered only in three exclusive exterior colors: Misano Red (236), Macao Blue metallic (250) and Nogaro Silver metallic (243). The sole interior choice was Silver cloth with matching leather bolsters. 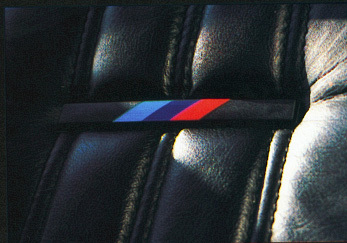 Both the front and rear seats were fitted with the tri-color M lapels (as used on the E28 M535i/M5), plus an M foot rest and door sill plates with the "M3" insiginia were included. Finally, a special dashboard plaque denoting the specific number of each example out of 500 was fitted to every Evolution II. All features from the normal M3 option list were also offered on the M3 Evolution II at extra cost, with the exception of the green-tinted windshield stripe, which was standard equipment. What distinguishes an E30 M3 Sport Evolution? The E30 M3 Sport Evolution, produced in an edition of 600 during late 1989 and early 1990, was the most extensively modified of the three E30 M3 Evolution editions. The cylinder bore was increased to 95mm (from 84mm) and a long-stroke crank was added to boost displacement to 2,467cc (from 2,305). In addition, the valves were enlarged and a more aggressive cam was fitted. Special nozzles sprayed oil under the pistons to keep them cool. All Sport Evolution motors were equipped with catalysts. The end result was a power increase to 238 hp at 7,000 rpm, though peak torque decreased slightly (over the Evolution II) to 177 lb/ft at 4,750 rpm. These engines use the regular black cam cover but have red spark plug wires. The gearbox remained unchanged but the 3.15:1 final drive was fitted. Like the Evolution II, the Sport Evolution has thinner glass, a lighter trunk and bumpers, and brake cooling ducts in place of foglights. In addition, it also has a smaller fuel tank. For homologation purposes, the Sport Evolution has unique front and rear spoilers with adjustable extensions for greater downforce, even wider front fenders, and reprofiled grille slats with sealed gaps for better aerodynamics, all of which have negligible effect on the street. The M3 Sport Evolution also sits 10mm lower than the normal E30 M3. The Sport Evolution was only offered only in Jet Black (668) with red bumper stripes or Brilliant Red (308) with black bumper stripes. The wheels are the same 7.5x16-inch cross-spoke items used on other Evolution models, but the spokes are painted a darker Nogaro Silver. Comfort items such as power windows, a sunroof, on-board computer and air conditioning were all deleted in order to keep weight down, though they could be ordered as options. Even the interior map lights and grab handles were deleted. 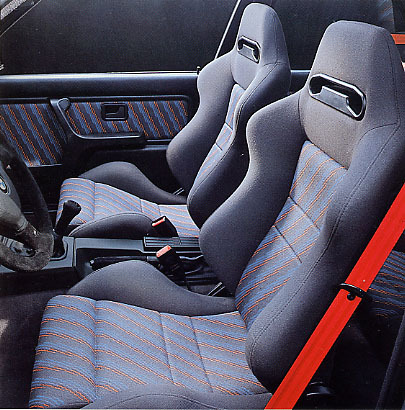 Recaro sport seats with integrated headrests were standard in Anthracite M cloth. Black leather with the M tri-color logo was an option. A suede-covered M Technic II steering wheel, shift knob and parking brake handle were included along with red seatbelts. Door sill plates with color "M3" insignias were added and a special plaque denoting each car as a Sport Evolution appears on the center console (though it does not include the unique number of each example out of the 600). What distinguishes an E30 M3 Tour de Corse edition? The Tour de Corse was a special edition of the E30 M3 created by BMW France exclusively for the French market to celebrate the win of French drivers Bernard Beguin and Jean-Jacques Lenne in the Tour de Corse rally. A total of 40 were produced in April of 1987, each based on the E30 M3 Evolution I and therefore equipped with the "E-stamped" cylinder head. Only two paint colors were offered: Alpine White (146) or Diamond Black metallic (181), both exclusively with a Black leather interior (0203). In addition, each Tour de Course was equipped with a high level of factory equipment: central locking, power sunroof, power windows, headlight washer + wipers, interior headlight aim adjustment, on-board computer and velour floor mats. In addition, BMW France retrofitted each Tour de Course prior to delivery with 7.5x16-inch cross-spoke alloy wheels, an M footrest, door sill plates featuring the "M3" logo, and tri-color M stripe lapels on each of the four seats. 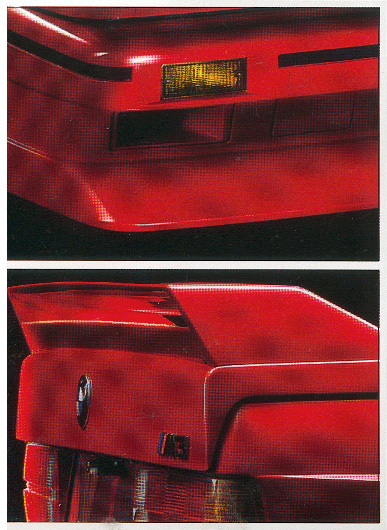 Finally, each example was given two "Tour de Corse" exterior badges, one in place of the standard M3 badge on the grille and another on the left side of the trunk lid, plus a numbered plaque on the center console bearing the signatures of rally drivers Bernard Beguin and Jean-Jacques Lenne. What distinguishes an E30 M3 Europameister edition? BMW celebrated the dominance of its E30 M3 in the 1988 Touring Car season with a limited run of 148* "Europameister" edition road cars built from October through December of that year. Based on the regular production M3 with the 195-hp catalyst-equipped S14 engine, all examples featured an identical and unique color scheme: Macao Blue metallic (250) paint with a Silver extended Nappa leather interior that included hide covering the entire center console and also the special diagonally-pleated door panels. 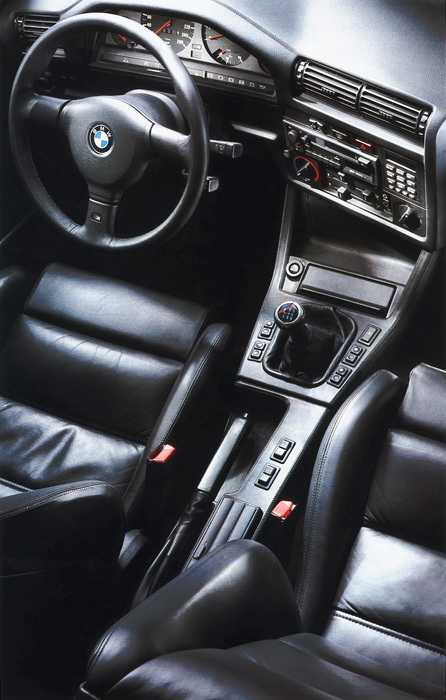 The interior was also equipped with M-stripe lapels on all four seats, as well as door sill plates with the "M3" insignia and an "M" foot rest for the driver. A special plaque on the center console read "Europameister 1988 auf BMW M3" and was signed by driver Roberto Ravaglia. Most examples of the Europeameister were produced for Germany or Switzerland and they were generally highly-optioned, though additional standard equipment over the normal M3 included only the 7.5x16-inch alloy wheels, green-tinted windshield stripe and power windows. *Note: Two additional examples appear to contain all the cosmetic attributes of the Europameister edition but lack the proper option code and are therefore generally omitted in the production total. What distinguishes an E30 M3 Cecotto edition? In order to celebrate the many competition victories of factory driver Johnny Cecotto, BMW produced a speical version of the E30 M3 during 1989 that was named in his honor. This model introduced the 215-hp version of the catalyst-equipped 2.3-liter S14 motor, still rated at 170 lb/ft of torque (though now peaking at a slightly lower 4,600 rpm). 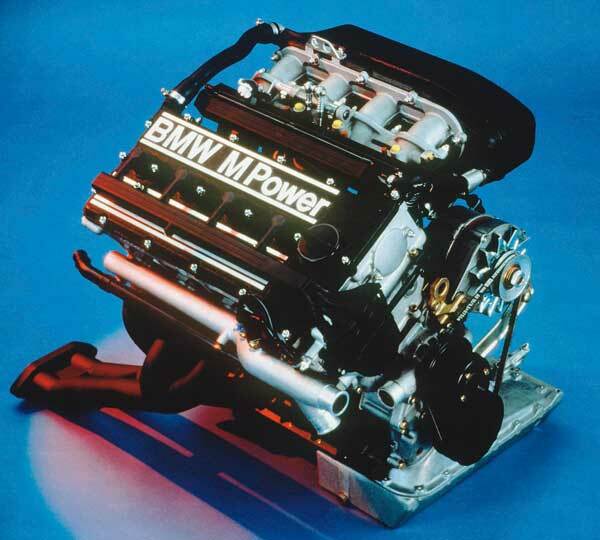 This engine, which would become standardized on European-spec M3s beginiing in September of 1989, can be identified in the Cecotto by its body-color valve cover. All other mechanical aspects of the Cecotto edition are identical to the standard E30 M3. The M3 Cecotto was offered in the same three exterior color choices as the E30 M3 Evolution II: Misano Red (236), Macao Blue metallic (250) or Nogaro Silver metallic (243). It also featured the M3 Evolution II front and rear spoilers, and is further distinguished by its thinner rear window glass, chrome tailpipes, and 7.5x16-inch alloy wheels with unique metallic black centers. However, unlike the M3 Evolution II, the Cecotto does not include the front brake cooling ducts in place of fog lights.On the inside, the standard BMW sport seats were trimmed in a special Anthracite or Silver M-Technic cloth with Bison leather bolsters. As an alternative, Black Bison leather, Black extended Nappa leather or Silver extended Nappa leather could be specified at extra cost. Additional special interior features included door sill plates with a color "M3" insignia, an M footrest for the driver, an illuminated leather shift knob and a plaque on the center console that displays the signature of Johnny Cecotto, as well as the exclusive number of each car in the series out of 505. (In fact, 480 E30 M3 Cecottos were built in total, in addition to 25 nearly identical Ravaglia editions see below, for a grand total of 505 examples). All M3 Cecotto and Ravaglia editions were further equipeed with the green-tinted windshield stripe, power windows, internal headlight aim adjustment, on-board computer II and the cassette storage box, while all available equipment from the regular E30 M3 option list was offered at extra cost. In addition to the initial 505 examples of the E30 M3 Cecotto and Ravaglia editions, the Swiss market later received its own special series of E30 M3 Cecotto models. These were produced in two batches, the first in October and November of 1989, and the second in April and May of 1990. A total of 80 examples were built, each identical in specification to the earlier M3 Cecotto edition, aside from being fitted with a special 211-hp (DIN) version of the S14 motor tailored for Swiss emissions regulations, as well as the later M-Technic II steering wheel that was introduced on all E30 M3s for the 1990 model year. Though equipped with a special center console plaque that bears the signature of Johnny Cecotto, the Swiss edition is not individually numbered. What distinguishes an E30 M3 Roberto Ravaglia edition? Instead of the E30 M3 Johnny Cecotto edition, the U.K. market received only the E30 M3 Roberto Ravaglia edition, which was essentially an identical car except for the signature of a different BMW factory race driver on the numbered plaque. A total of 25 examples were produced, 16 in Misano Red (236) with an Anthracite M cloth and Bison leather interior, 9 in Nogaro Silver metallic (243) with a Silver M cloth and Bison leather interior. The following chart lists all regularly available paint colors for the E30 M3, excluding all special editions except the Evolution I. The following chart lists all regularly available upholsteries for the E30 M3, excluding all special editions except the Evolution I. The following chart lists all regularly available paint and upholstery selections for all E30 M3 special editions, excluding the Evolution I (which is included in the above charts).